At last, the Dungeon Lord has successfully united the forces of evil and established his dark empire. Time for the next step in his most diabolical quest: expansion! Through enticing the dark elf priestess Thalya from the fluffy clutches of the surface world to become his chief lieutenant, the Dungeon Lord has found a way to direct his campaign of conquest from the confines of his underground lair. With Thalya on the front line, and the united forces of evil to support her, players will have to use every trick in the book to best those do-gooders of the overworld, once and for all! 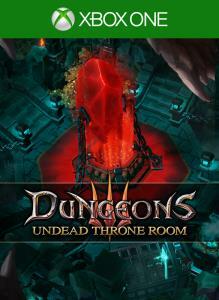 Unleash your dark side by creating a unique underground dungeon from a huge array of rooms, traps and structures. Raise the most terrifying army the world has ever seen, by choosing from despicable creatures such as orcs, succubae, zombies and much, much more. Then, once you have built your forces, emerge from the darkness and guide your army to the light of the overworld, where you will corrupt the land and dispatch anything even vaguely heroic, cute or unicorn-shaped. And in a first for the Dungeons series, experience randomly generated levels, so that no two sessions are alike – never-ending fun for any evil conqueror! 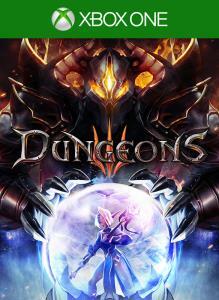 Features: -	The dungeon manager you’ve been waiting for: Dungeons 3 is the biggest, best, and evil-est dungeon sim yet, topped off with a fully reworked overworld RTS mode. -	Under new management: Command the united forces of evil under the guidance of new character Thalya and lead them to victory. -	Size does matter: Extensive single player campaign with 20 missions and more than 20 hours of playtime, randomly generated levels, a brand new co-op mode for two players, more rooms, and more unique abilities. -	Speak no evil: The fan-favourite Dungeons narrator is back with his unmistakable voice, continuing the Dungeons legacy in the best way possible.